Component feeding is one of the major factors in product assembly efficiency. 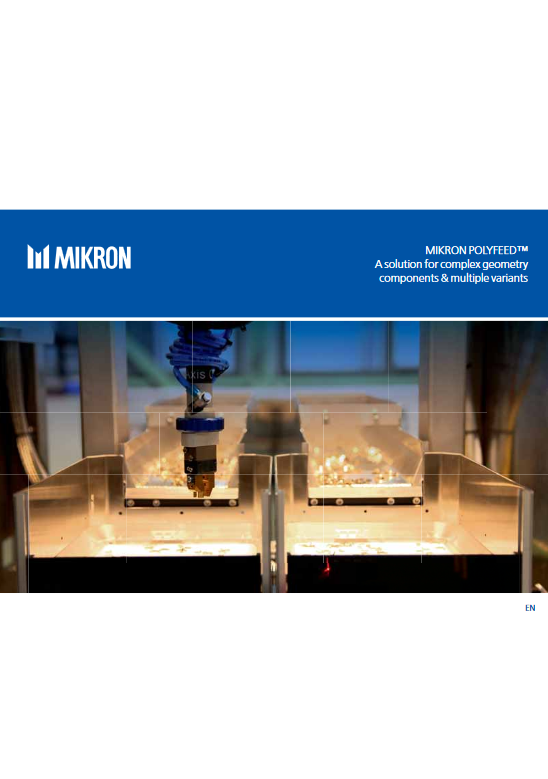 In order to feed difficult parts or to handle multiple variants, Mikron has the solution: Polyfeed - a highly flexible feeding system. You can count on it for unmatched flexibility, short delivery time, reusability and speed. 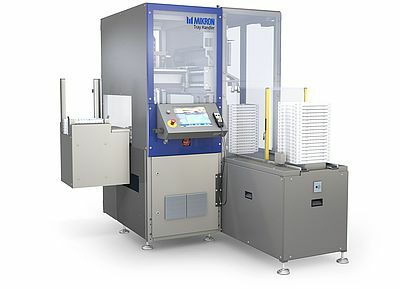 Mikron Polyfeed is a flexible feeding system based on the use of visual recognition and vertical vibration systems to identify parts in their various forms and positions. The feeding speed can reach 80 parts/min, depending on component design, with component sizes from 1 to 50 mm cube size. The selection plate is vibrated at specific frequencies and amplitudes to agitate the components. 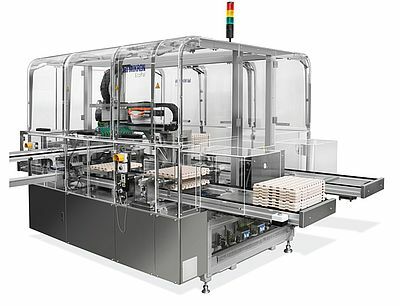 A vision system inspects the components on the selection plate and identifies which are laying in a position suitable for being picked. The coordinates are sent to the 4-axis robot. The robot picks all identified components placing them in the proper orientation to a part nest. Operations are repeated alternately on two selection plates to ensure a non stop feeding.